Question: Have you ever stopped to consider, in science fiction, just what a plasma weapon is? What it entails? Question: Are we talking plasma as in… the almost unimaginably hot form of matter that makes up stars and suns? Or plasma like, as in a plasma television? Question: Does it like… burn you, or cooly disintegrate you? … or, maybe it’s just a fancy catch-all term for anti-matter weaponry of some sort? Question: How does all this work? To answer these, and surely many other questions we would have never thought of, I have invited Bill Nighy the Science Gighy to explain his theoretical defensive super ultra-plasmosis mechanical physics quantum gibberishology science thing! He just hasn’t shown up yet. He might also not be real. I might have just made him up. In the meantime, I’ll just… set some stuff here and there, maybe get started. I’m sure he’ll only be a few minutes late. So, to the music! Have you ever been to ‘Mega City Tokyo’? It’s like Willy Wonka’s Chocolate Factory, but for cool technological gadgetry. It’s an incredible, magical technopolis. I hear they pave the streets in brand new iPhones, you can just pluck one from the ground and start calling people, it’s like “no big deal, whatever”. They’ve got vending machines for luxury cars, you just swipe your card or insert ¥13,000,000,000,000,000 and it rolls out of the massive dispenser door with keys in ignition, ready to go. All of the local flora and fauna has been tamed and now comes in little balls which, when thrown, release them to do the bidding of their trainers. So I hear, anyway. It’s a pretty wild and amazing society, all things considered. Take this for your personal soundtrack when planning your voyage: ambient, dreamy synth chords with a lovely little chip melody floating along, then suddenly the crack of thunder and rain sets in. There’s also a stripped down, minimal break. After a while, there’s a distorted bass bump and a bit of beeping as most of the other sounds fall away. Then, a strangely nostalgic/evocative but altogether mysterious x-files bell-synth tone arrives to create the next section, then the beep & bass breaks come back. Very pretty stuff here! 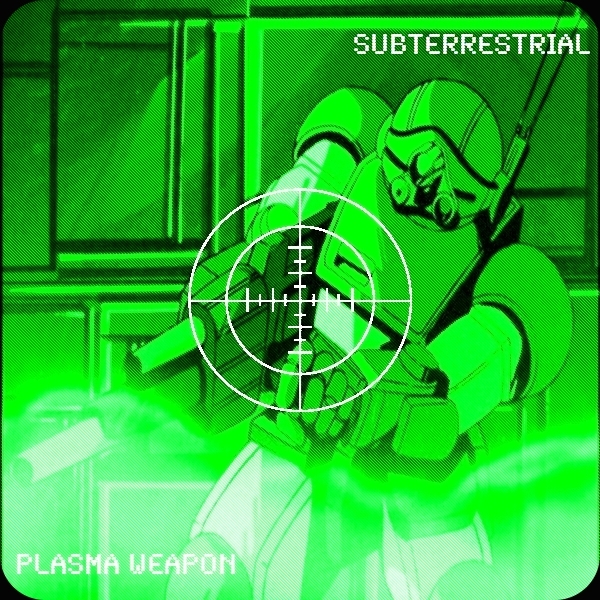 Next is the titular track ‘Plasma Weapon’, with low, growling drone bass, like the atmosphere of a hangar within Area 51. Would be the perfect soundtrack to an expose’ on lizard men and the illuminati. Squelching digital synth pads perform synchronized fly-bys and it’s as if you’re waiting for something to drop, some release of tension that never happens. Even better is ‘2032’, featuring more low bass grit, but also now a plucky synth sequence that bounces with delays. It works a subtle magic on the brain, luring you in, and then shifting into a sickly harmonic structure. It’s like the turn for the worse of one who has just come to the too-late realization that the Utopia they’ve landed in is really more Dystopic. Maybe they keep the peace and harmony of their world with a death lottery or something crazy. Then we come to ‘Morrigan’, which sounds like a harpsichord composition from a goo-ridden alien planet. I’m imagining a Bach-blob hooked to some kind of electrode-amplification device performing this piece to it’s macrobial audience of sludgeforms. I hear a clock chime; perhaps it is time for the blobs to host a feast of enormous cooked plankton creatures. Afterward, it’s time for a cruise with ‘Night On The Galactic Railroad’, which has some more great low bass pads rumbling with occasional flirtations of synth notes in a higher octave. I’m imagining myself on the Galaxy Express 999, on my way to some distant world, passing nebulae and other outer-space oddities. Most of the padwork and chord arrangements are very low, mixed with subtlety. There are some brighter string pad synth sounds on ‘Trouble Consultants’, but I feel like we can’t be out of these weird woods yet! Maybe I need consultation to be sure, I’ll just ask the music… no, it seems we are still in store for some wild sounds! Digitized breakbeat minimalism, some chip arpeggiation. ‘Ghost Squadron’ arrives, just in time. I hear a nice bassline sequence, just a touch of noise to the oscillations. Crackles of static on one channel, kind of in the background… some drones… I’m maybe now running down a corridor attempting to escape the pursuit of some cyborg. 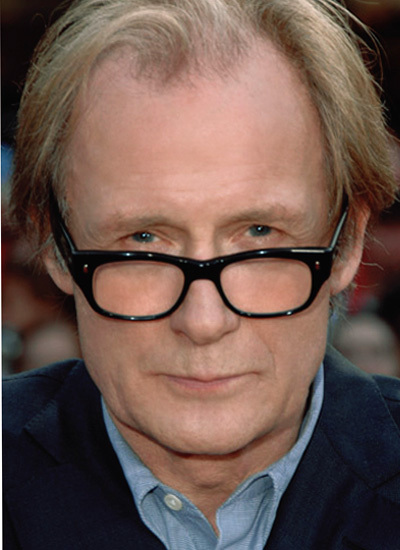 I’m still bummed that Bill Nighy the Science Gighy didn’t show up, but maybe he’s who I’m fleeing? Perhaps he has cybernetic Frankenstein nodes attached and he’s trying to track me in infrared… oh no!.. … then I wake up to ‘No-Fly Zone (Devil’s Triangle II)’. Despite the signage, it feels like we’re receiving flights zooming past relatively frequently. Some nice hoover bass, cold pads, 808-style electro grooves. Perfect end to this album, I think. After a bit, some radio-noise insanity breaks out! There are synth crows screaming by… watch your head out here! This entry was posted in Uncategorized and tagged ambient, sci-fi, Soundtrack. Bookmark the permalink.